It's a challenging time to be a teen. They have a greater chance of experiencing mental illness, depression, anxiety, and unfortunately, suicide than teens of previous generations. Living Wisdom School has been teaching young people emotional self-mastery skills, including meditation, for over 45 years. The results are striking. Clinical studies show that meditation helps children alleviate stress, increase happiness, increase compassion and sensitivity to others, and improve grades, concentration, and athletic performance. 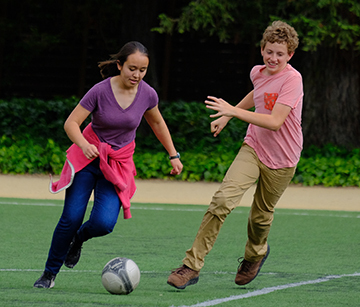 These classes are open to teenagers 13-19 from any school, and take place at Living Wisdom High School in Palo Alto. Classes are taught by long-term meditators and teachers who have worked with young people for many years. The meditation techniques include, but go beyond mindfulness practices. Teens will learn deep relaxation, controlled breathing, and watching the breath. Benefits include relief of physical and emotional pain, reduced anxiety/fear, and greater self-acceptance.